On the 18th June 2015 it will be 200 years since the battle of Waterloo took place, which was fought near Brussels in Belgium. This is the setting for scenes in my novel The Lost Love of a Soldier so I want to take this chance to share some of the things which I learned while researching the story of the 52nd (Oxfordshire) Regiment of foot which my fictional character, Paul, had a place within, to commemorate the anniversary of the battle. I picked the name of a real regiment randomly when I began writing Paul’s and Ellen’s fictional story, in The Illicit Love of a Courtesan, and chose the 52nd (Oxfordshire) Regiment of foot. So when I decided to place the characters in a prequel, which would incorporate the battle of Waterloo, I had to research the background of the 52nd and develop an understanding of what happened to them before they reached the battle. Looking up where they’d come from before the battle? How they had lived? How would they have felt during the lead up to Waterloo? I read records of the regiment’s history in the Peninsular war; a seven-year war, fought against Napoleon’s forces in Spain. This told me that when Napoleon surrendered, abdicating as emperor, and agreed to move to the isle of Elba, the 52nd came home to Britain in the summer of 1814. So this was my opportunity for Paul to meet Ellen, when he would have come home on leave, tired and recovering from a very brutal, long war, in which, on occasions, British officers had to turn against their own men when through hunger and deprivation they attacked women and stole food in a Spanish city. In December 1814 the 52nd were ordered to sail to America, to fight there, as were many of the regiments who’d finished battling in Europe, so in the story Paul’s aim is to take Ellen with him. The regiment sailed to Cork in Ireland in January 1815, whether you consider it fortune or misfortune is a judgement we cannot make, but they were stranded at Cork for weeks due to the weather being too bad to sail, and then came the news that Napoleon had escaped Elba and was once again rallying an army. It must have been devastating news—for men who had fought through hunger, heat and miles and miles of marching, who’d lost numerous men and friends to war and seen far too many horrors—to know that the war was no longer won and they had to go back. The 52nd Regiment were then ordered to Ostend and from there to Brussels. Those men who’d endured the Peninsular war knew what they were heading towards, but because the decision was made by the generals not to go to Napoleon but to wait and let Napoleon make his moves first then the atmosphere of the journey towards Brussels was party like. Napoleon was still miles away so the regiments were accompanied by the officers’ families and by hundreds of tourists who’d come to enjoy the entertainment of crushing Napoleon again. 200 years ago, the soldiers would have been gathered in and around Brussels, and they had been there for weeks, waiting for a battle that they all felt was inevitable. I have a couple more posts on Waterloo to share with you, and I am lucky enough to be heading over to Brussels for the commemoration, so I will share everything I discover later this month when I come back too. 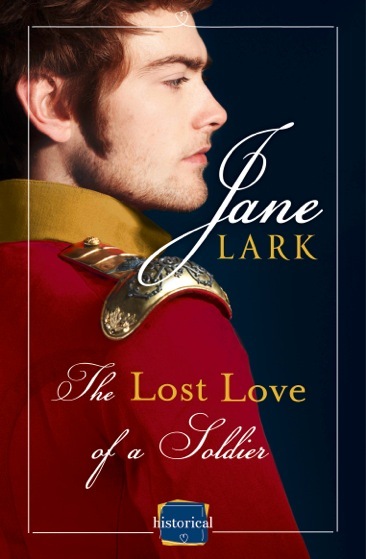 Posted on May 28, 2015 by janelark •	This entry was posted in Regency Stories, Waterloo and tagged Historic Memoirs, Historical Novels, The Duke of Wellington, the Lost Love of a Soldier, Waterloo. Bookmark the permalink.